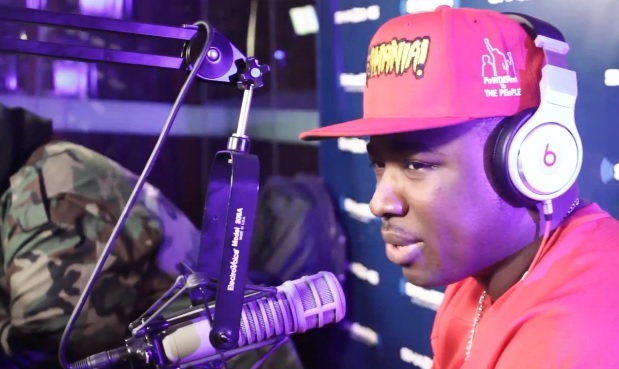 Troy Ave recently stopped by Shade 45 for an exclusive on-air interview with DJ Whoo Kid. Harry Powder opened things up by crediting 50 Cent, Master P, Biggie, and JAY Z as early influences. As the current state of New York Hip Hop quickly became the topic of discussion, Troy reassured listeners that his music if a reflection of his real lifestyle and upbringing in the streets. The Brooklyn rapper also elaborated on his friendship with Fabolous, explains how he was able to get Pusha T on his new album and much more. Wu-Tang’s Raekwon also joins in on the conversation close to the 14 minute mark. This entry was posted in In The Studio, Interview, Video and tagged DJ Whoo Kid, G-Unit, harry powder, hip hop, Interview, new york city, rap, troy ave. Bookmark the permalink.